I’ve tried a few digital sabbaths, and I realize that I’m fooling myself in this age of technological mobility. Even if I’m not communicating directly with others on my smart device, I’m using it to read books, listen to music and watch videos. So this month, I watered down the “cold turkey” approach to something more honest: I acquired a “license-to-ignore” for the last two weeks. If our state of pervasive communication is somewhat motivated by FOMO – a fear of missing out — then I wanted to at least flip the script and try JODI — the joy of digging in (I just made that up). With the permission of my colleagues and by putting my students on notice, I eyed a few incoming e-mail, texts and tweets during this time. I flagged a few for follow-up. And then I just turned my attention to what was directly in front of me: my wife and two kids. Thanks my work last year at Seattle’s Museum of History and Industry as well as with my role on the Pacific Science Center’s Board of Directors, I’ve developed an interest in education, innovation and engagement in public spaces. I’m also speaking twice at the national American Alliance of Museums conference this May, appropriately right here in Seattle. 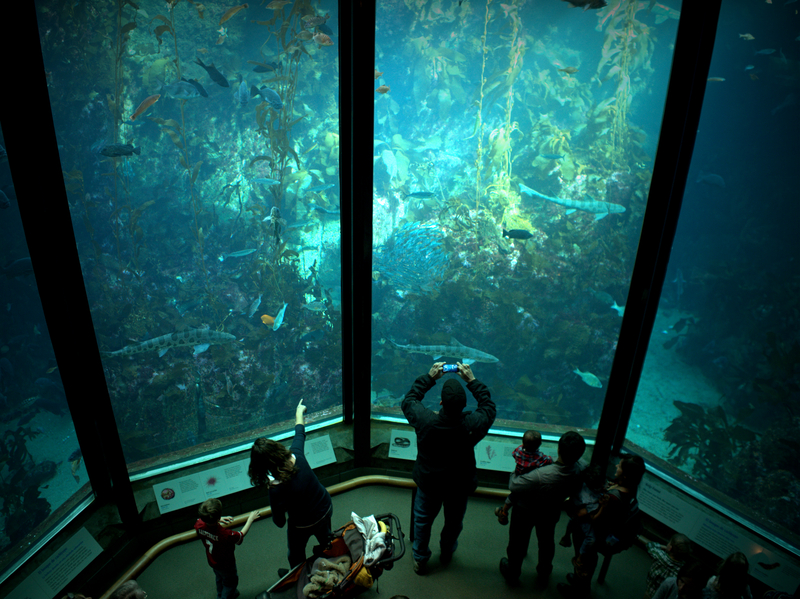 So I chose two West Coast institutions that I wanted to explore further — the Oregon Museum of Science and Industry and the Monterey Bay Aquarium. 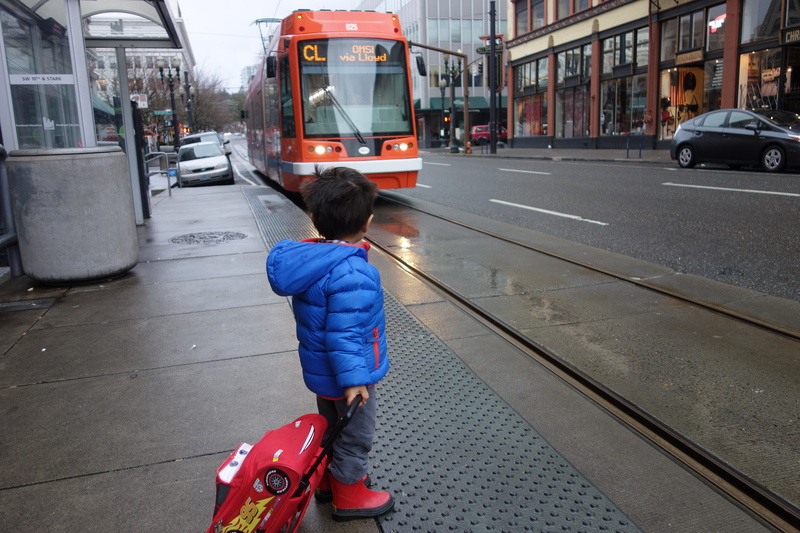 I booked discount travel and on two successive weekends, took each of my kids on short father-son (Portland), father-daughter (Monterey) adventures. I memorialized these trips through picture books using Shutterfly, which was more than I had done in years with any of the thousands of photos I’ve taken. 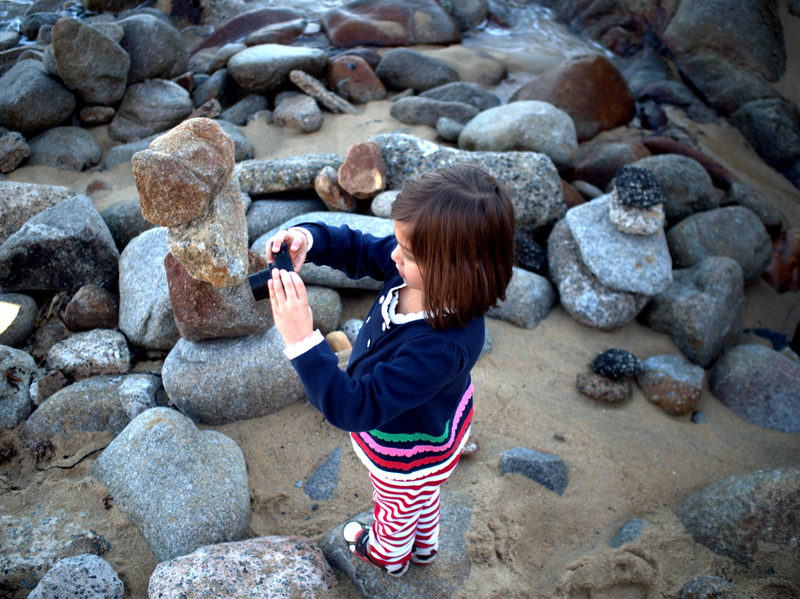 My daughter is more self-sufficient than her three-year old brother, so I graduated from the pocketable Sony RX100 that I used with him in Portland to the more hands-on interchangeable lens system of an Olympus micro four thirds camera for Monterey. On both occasions, I left the laptop at home, and had both cameras feed my smart device via a wireless Eye-Fi SD card. I prefer the larger sensors of standalone cameras to those on smartphones. In Monterey, my five year-old used the Sony for JPEG images, while I shot RAW on the Olympus. So we ended up with over 400 photos, which I uploaded to my iPad Mini. On the flight home (and sacrilege, during the Seahawks-49’ers game), I used the excellent Photogene app to cleanup and crop the best images on the iPad. I quickly submitted 139 of them to Shutterfly so that she could have a picture book as soon as possible, to match the one her brother had received a few days earlier. Storehouse brings illustrative storytelling to the everyman (and everywoman) through an iPad app with a very basic formula: add photos from dropbox, your photo library, Flickr or Instagram, then swipe, pinch, and pull to structure them in a wide variety of formats, with or without text, which can likewise be added and edited. 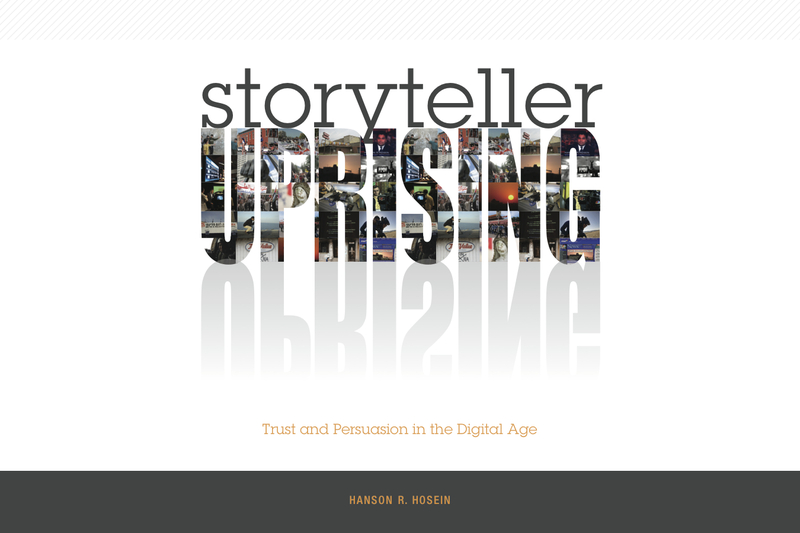 The app is free; the stories you create are entirely public and all readable through the app. It’s an astonishingly easy way to turn straightforward stories into gorgeous features, and though it barely scratches the surface of some professional tools like Scrollkit or proprietary ones like what the Gray Lady uses, it’s certainly a giant leap for small publishers. I experimented with a similar media-rich, tablet-friendly platform during my trip to London, Paris and Brussels in December. Unlike the free, IOS-only Storehouse.co (“co” for Colombia), Exposure.so (“so” for Somalia — the only way to acquire such commonplace URL’s these days it seems) targets prosumer content creators and isn’t free. It’s also web-based and doesn’t support video. Storehouse does. (1) Capture beautiful, high-resolution imagery at opportune moments. The old school storyteller in me still likes to carry a standalone camera for this. Visual matters. (2) Present this multimedia in a mobile-friendly format. Reduce the friction for the user if possible: make it scrollable and eye-catching. We just experimented with this on our graduate program homepage with an infographic. (3) Be nimble in both the timeliness of sharing these stories as well as in the gear we choose to carry. The laptop is now optional; you no longer need to wait to get back to your desk to engage in post-production. What a far cry from my backpack journalism days at NBC News when I lugged around a Dell workstation through the Persian Gulf in 2003, and when I needed a Mac Pro tower to edit newly-introduced HDV footage for my 2005 documentary. I can now shoot the semblance of 4K video on my phone and upload to YouTube immediately. The speech, usually about an hour long, “is the biggest engagement of the year” for the White House’s digital media operation, said its acting director, Nathaniel Lubin. The campaign includes Google Hangouts and Facebook chats by cabinet members and senior administration officials, a flood of advance Twitter messages under the hashtag #InsideSOTU, and an “enhanced” web live stream of the speech with graphics and data amplifying Obama’s themes. As part of the build-up, speechwriter Cody Keenan did a one-day “takeover” of the White House’s Instagram Account featuring photos of preparations. P.S. As the host of the Seattle Chamber’s IN-NW social engagement conference on February 12, I’ll also be exploring these trends with presenters from Google, the Seattle Police Department, Weber Shandwick and Killer Infographics, among others.